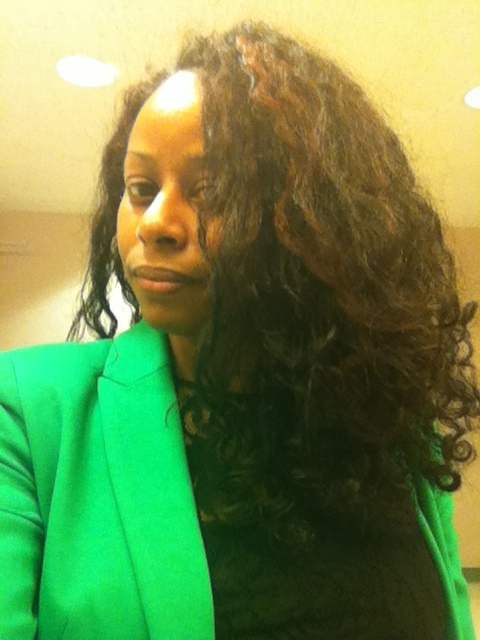 Tangles, straight pieces, breakage, OH MY!! These are pics of my hair that I took this past week. I share this just to show that my hair is far from perfect. I have fine strands that tangle and break, especially in the back where the finest, curliest and kinkiest (meaning it has a torque in addition to a curl) hair meets the straightest strands :/. I wish I could say that I was one of those lucky ladies with thick, hardy strands, who only see full length shed hairs on the bathroom floor, sink and shower. I’m not. I see short, shed and broken strands whenever I detangle my hair, even when I try to be as slow, gentle and careful as possible. Great to know that you are struggling like us and not making it seem as if everything is perfect. It just lets me know that this hair journey that I am on is long and it will take lots of care of my care. I’ve had that problem but it was because my hair rubbed against my clothing. Even cotton can become the culprit for breakage not just on your nape (which is usually the result of a wool scarf or collar rubbing) but also the underside-back of your hair. Remedy- nylon winter jacket or I’ve purchased a satin scarf the same color as my wool coat and had my tailor sew a square on the back collar and on the back of the coat. I try to remember to pin the back of my hair up until I reach my destination in winter and summer I love because my sun dresses have the top part of my back out which equals no rubbing. Your hair is beautiful and I hope to get your length someday using the above methods. Can I tell you about a product I use, and perhaps you can try it, and on your blog, post what it does to your hair? I don’t shampoo my hair, & right now I don’t have any ultra strentgh moisterizers. When I’m in dire straights like this, no money to buy the expensive product, I shower and condition 2 times with Organix Morrocan Argan Oil Moisterizing Conditoner. That is not the beautiful product I want to tell you about. After I condition my hair, still wet, I apply a handful of Organix Coconut Oil serum. My method is to not use too much product for fear of buildup and more breakage, or bad mixes. I haven’t had the time to indulge in all your endeavors on products you tried. The ingredients on the back are so comforting. This first ingredient lets you know that this product wants to restore you hair’s beauty to full strentgh with ALOE BARBADENSIS (ALOE VERA) LEAF JUICE. I don’t know what the other chemicals do, but it leaves my hair feeling bouncy with energy. Sorry I poured my soul about this product, but it’s wonderful. THe shampoo and the conditioner. The shampoo brought my natural hair color back! Then after I put 2 treatments of the conditioner, and the shampoo is used specially, I use Paul Mitchell Super Skinny Serum. Thanks for this post, Shelli! I have been getting super frustrated with the breakage lately. 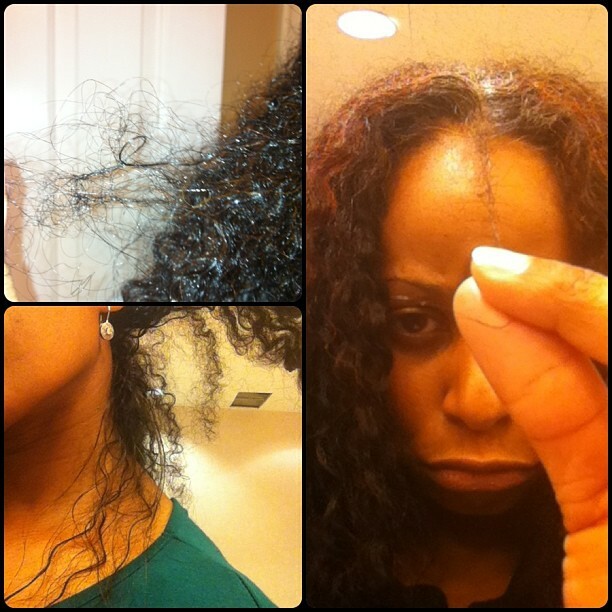 I try to be so gentle and use gentle, smoothing products but the breakage seems unavoidable. However, I am still retaining length. When I straighten again, I will take some pics. I just wish it were more full. All of my styles seem so skimpy. Oh well, I love it all the same. Thanks for the encouragement! Shelli, thanks for the dose of encouragement! Incidentally, that pic on the left is classic! I have the EXACT same sprig in the front. Oddly, I dont know how it happened and despite my best efforts, it never seems to change in length or texture. Good to know Shelli. Even I get a bit of breakage, it’s about keeping breakage to a minimum rather than trying to eradicate it altogether. Exactly Alma!! I feel like, with my hair, I’ll never eliminate it entirely. BUT, what is minimal or almost non-existant is that popping noise when I’m breaking my hair because of how I’m handling it.